Adobe Scan, Adobe's document scanning app, was updated today with a new feature that lets users capture business cards and convert them into phone contacts. AI enhancements courtesy of Adobe's Sensei machine learning platform enable the app to recognize a business card when placed in view of the phone's built-in camera. Once the card is recognized, the app presents a "Save Contact" button to the user. 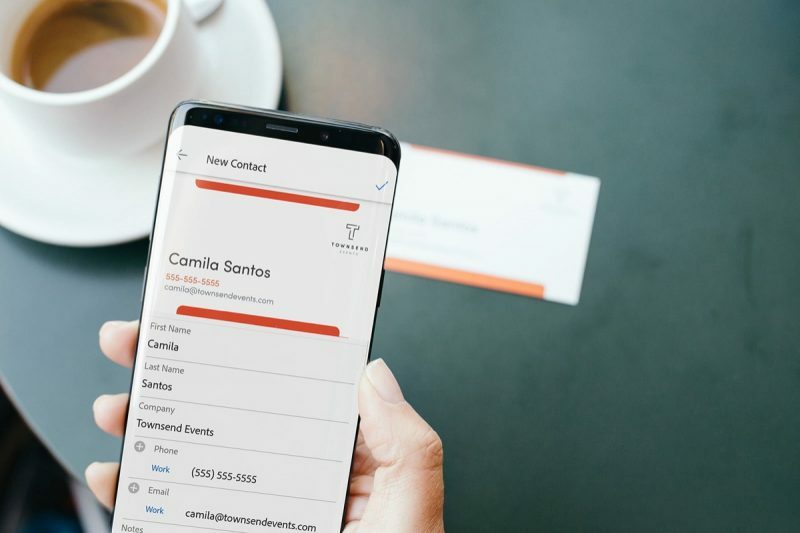 Tapping the new option captures the information on the business card including the name, company, phone number, email address, and any image, and automatically imports it into the user's contacts. Adobe's Sensei AI also gets to work on the original scan of the business card, automatically correcting for shadows, perspective distortion, and even cropping out any fingers holding the card in the captured image. Along with the AI-focused update to Adobe Scan, Adobe also announced some new PDF creation tools today for Microsoft Office 365. New shortcuts in the ribbon of Microsoft's Word, Excel, and PowerPoint web apps let users convert documents into PDFs (and vice versa) with optional password protection. Likewise, Adobe PDF archiving, conversion, and distribution tools are also now available from within OneDrive and SharePoint.